Whether it’s a cabin or a cottage, a rental or an owned property, Canadians love their weekend escapes out of the cities and into the great outdoors. 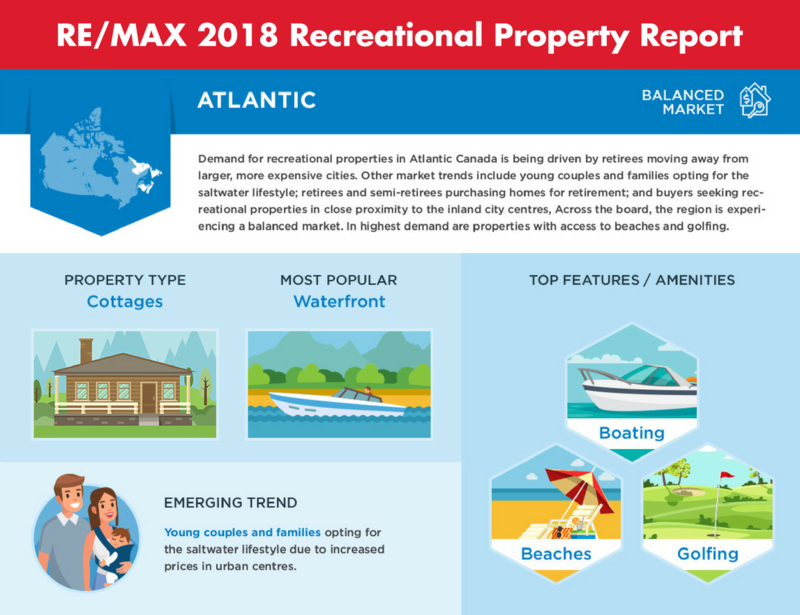 With Victoria Day Weekend right around the corner (affectionately referred to as the unofficial start of summer and Canada’s cabin/cottage season), there is no better time to release the 2018 RE/MAX Recreational Property Report. This year marks a new PR approach for our Recreational Property Report. For the first time, the report is being released as a two-part initiative. 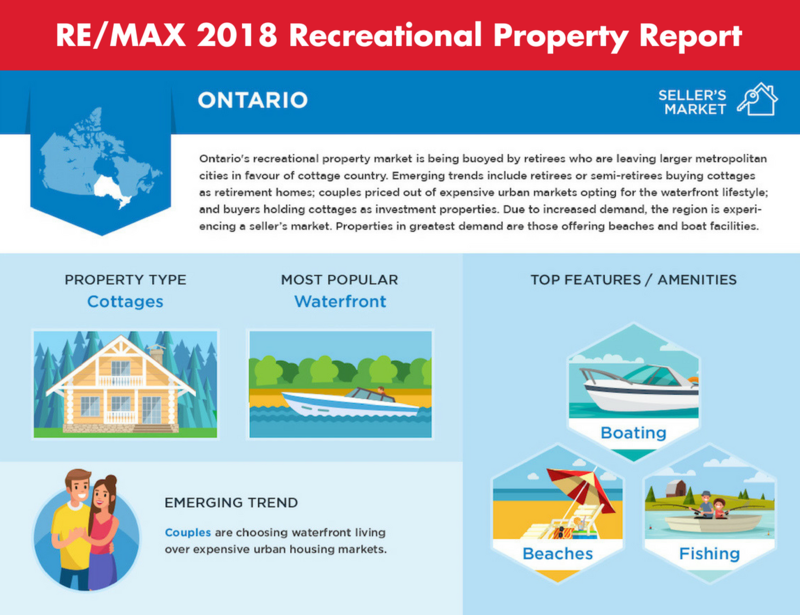 Part 1 of the report focuses on liveability factors and buying trends, and the release has been aligned with the upcoming Victoria Day long weekend – the unofficial start of summer and kick-off to Canada’s cottage season. Stay tuned for Part 2 of the report coming this summer, which will dive into market-specific price and sales data, and more!. A recent survey of RE/MAX Brokers & Agents found that in 91 per cent of popular Canadian recreational property markets examined, retirees were the key factor driving activity. This includes established recreational regions such as Prince Edward County and Comox Valley. This is in stark contrast to last year’s findings, when retirees were a dominant driving force in only 55 per cent of markets examined. Get the buzz going by sharing it today and show clients, potential clients and your peers you know recreational properties! Not sure where to start? Here are a few real-world examples of where and how the Recreational Property Report will work best for your marketing needs! Become a recognized leader in the recreational field of real estate by posting some of the statistics found throughout the report on your social platforms. Be the pillar of communication for the markets you serve by posting the infographic on your website! The Recreational Property Report Infographic also acts as the perfect handout at open houses. It’s engaging, visual, and sure to capture the attention of those that walk in the door! (Download the high-resolution version below)! The possibilities don’t stop there! We encourage you to check out the full report on the RE/MAX Canada blog. It’s the perfect place to refer clients to! Click HERE and share the report directly from the blog onto your social platforms! Next articleSpring into the season with up to $150 in savings!